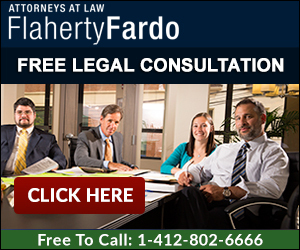 There are many different kinds of accident cases in Pennsylvania. When people think about an accident case, they most commonly think of a car, truck, bus, or ATV accident. However, lawsuits may be filed in almost any type of accident case. Here are some additional accident case types that we also offer legal representation. Regardless of the type of accident case involved in a lawsuit, in order to recover money the plaintiff must prove both that another party was negligent, and that the negligence caused the plaintiff financial or physical harm. Both elements must be proven in order for the plaintiff to prevail. Proving negligence is often a matter of showing that the defendant was careless in some way. In addition to carelessness, the plaintiff must also prove that he/she suffered some type of physical, mental and/or financial harm. In order to determine the damages in an accident case, the plaintiff may enter into evidence all past, present and future medical bills, wage loss, and all other out-of-pocket expenses incurred or reasonably expected to be incurred in the future. However, juries are also free to award money for physical and mental pain and suffering. The amount of the award or verdict is often related to the experience and skills of your personal injury lawyer. We attempt to maximize recovery for all of our clients by diligently preparing each and every case for trial. We believe the best settlements for our clients are often obtained when the defendants realize the risk of proceeding in a trial against us. We appreciate that accidents are never planned, and can cause great financial stress separate from the physical pain. Our aggressive accident lawyers are dedicated to providing results and to keeping our client satisfied. If you or a loved one has been involved in an accident or injury in Pennsylvania, please contact our office today at 412-802-6666 to talk with one of our lawyers.